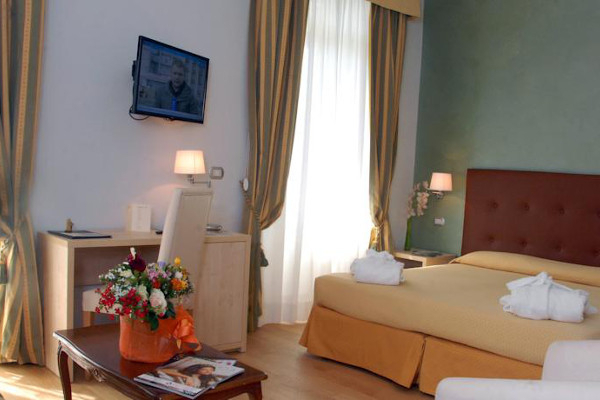 Allow yourself to be pampered in the comfortable rooms of the Hotel Paradiso in San Remo, and enjoy all the services they have to offer. 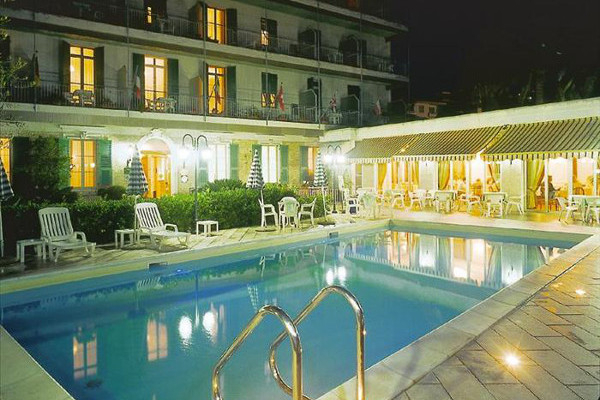 This is the perfect hotel to book your holiday at the seaside or by the swimming pool, for a completely relaxing time. Situated in a quiet, panoramic position, you can relax in rooms equipped with every comfort, including free Wi-Fi Internet, air-conditioning, ensuite bathroom, phone, minibar, security safe, direct telephone, satellite TV. 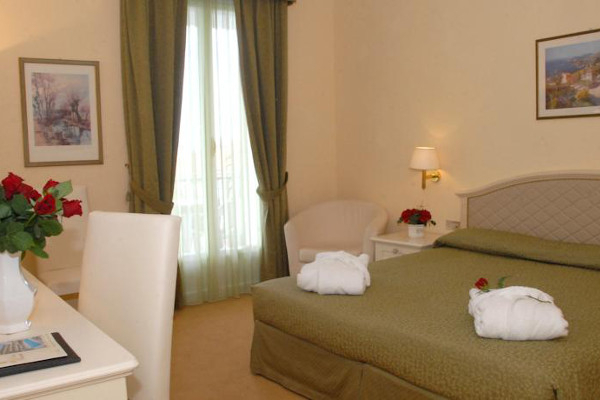 The south-facing rooms all have an ample balcony and enjoy a splendid view over the gardens and the sea. 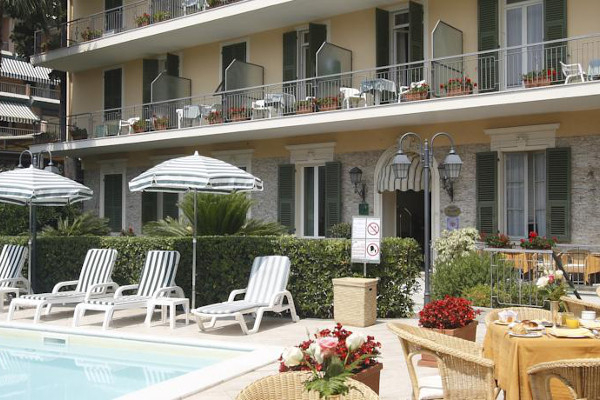 The hotel also has a heated swimming pool and a solarium. It is possible to rent bikes. Private parking available upon payment. Children under two may stay free of charge in the cot provided. 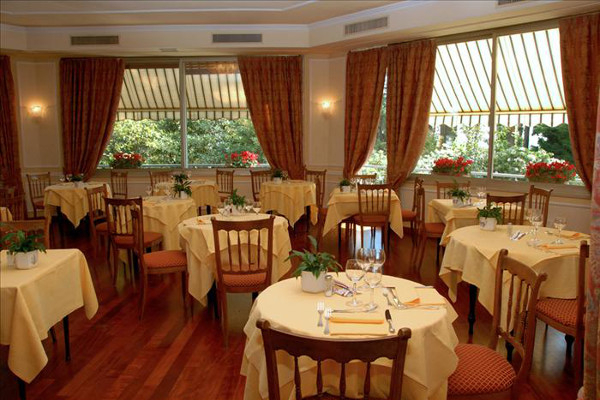 The hotel has an excellent restaurant that offers typical Ligurian dishes, and there is also an American bar, with service available to guests beside the swimming pool. There is the possibility of obtaining a cot free of charge for children up to the age of 2 years. Children under two can stay in the beds already provided in the room, free of charge. Economical rates for children up to 12 years of age. Pets admitted upon supplementary payment. 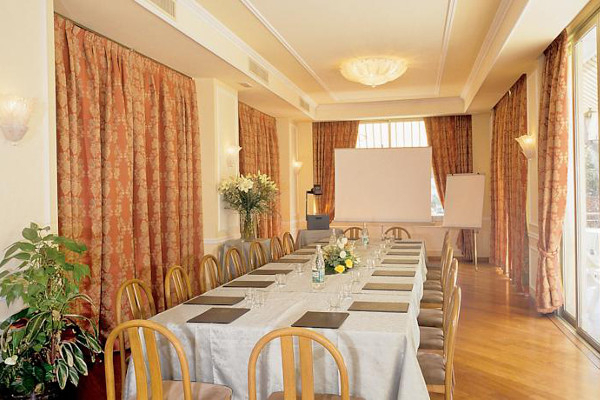 The hotel offers a conference room capable of holding up to 40 people. 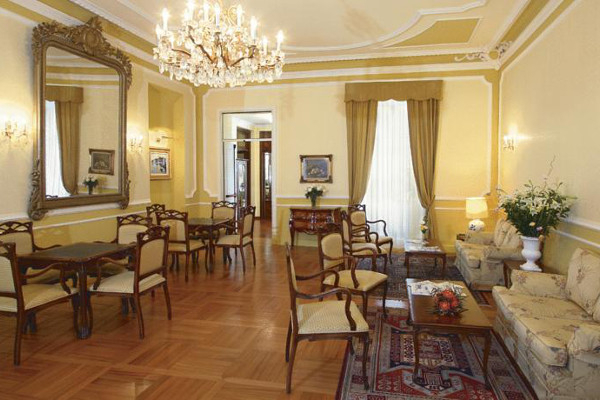 The hotel is located near the center and the attractive Empress Walk, as well as the Casino and the Russian Church. Autostrada dei fiori A 10 exit San Remo Ovest: take via Padre Semeria for about 4 Km until you reach via Aurelia, at the traffic lights turn left and proceed for about 400 meters after which you turn left into via Roccasterone.